Want to try something different with a touch of elegance and plenty of laughs? then why not try Wine Tasting. Wine tasting is a perfect way to get your party off to a sparkling start with the group learning a little bit about wine under the guidance of the wine experts. Learn to taste like the experts, understand the wine jargon and then put your taste buds to the test in a blindfolded guess the wine game. 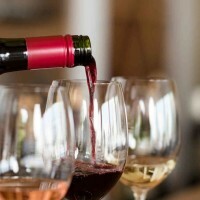 You will sample a variety of wines ranging from a cheap bottle up to a really expensive wine. This is a really great activity to all ages and is a great way to break the ice with the others in the group, in a really relaxed, fun atmosphere. Want to try something different with a touch of elegance and plenty of laughs? then why not try Wine Tasting. Wine tasting is a perfect way to get your party off to a sparkling start with the group learning a little bit about wine under the guidance of the wine experts. Learn to taste like the experts, understand the wine jargon and then put your taste buds to the test in a blindfolded guess the wine game. You will sample a variety of wines ranging from a cheap bottle up to a really expensive wine. This is a really great activity to all ages and is a great way to break the ice with the others in the group, in a really relaxed, fun atmosphere.